The latest block for the Seattle MQG BOM is called Dalle de Verre, named for the "glass art technique where slabs of glass are set in a matrix of concrete and epoxy resin or other supporting material. " (thanks Wikipedia!) There's a cool example pictured in this article about glass artist Russell Day, for whom our BOM is named, and who happened to be our hostess Jonna/bespokeoutlaw's great-uncle. Pretty cool! I can't said that my fabric choices did me any favors when it came to this block. Up until now, the voile was easily appliqued onto the Essex. But working the opposite - reverse-appliqueing linen onto the voile, was a bit fiddly. I also had a quandary over using matching thread. First I chose a dark brown thinking that was the way to go (why?) but no, it was eventually obvious that it would be better to match the top fabric color, not the bottom. So I switched halfway through my stitching. Not my best work, but...... nestled in amongst the other blocks, I think I can live with it! Dalle de Verre; I am looking forward to going and reading up more about that after this post! 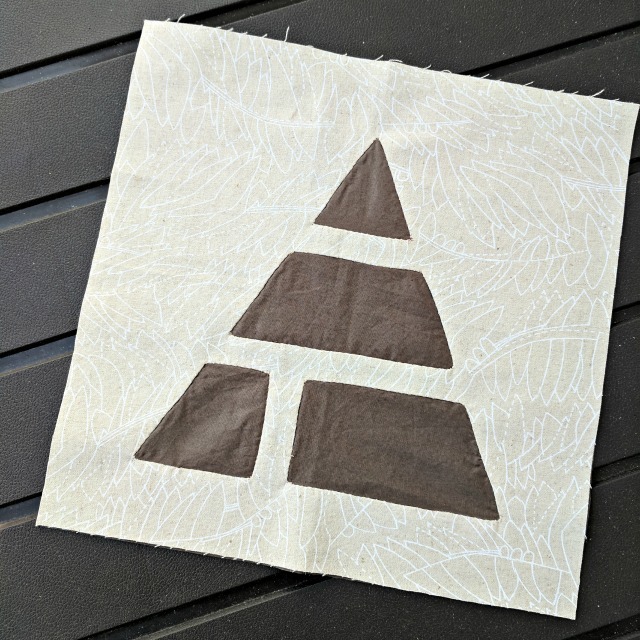 Reverse applique is something I have yet to try myself, so I will tuck away the knowledge of thread color selection to hopefully have at hand when I need it. I'm very curious as to how this will all come together! You and your guild are so creative. Reverse appliqué...I've thought about it but never tried it! 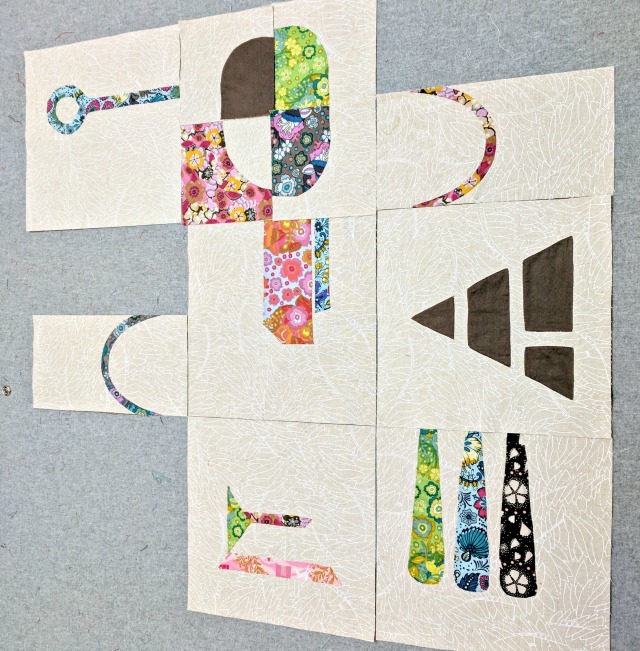 It must be difficult to make this block with reverse applique, especially at the angles! Looks good from here though !